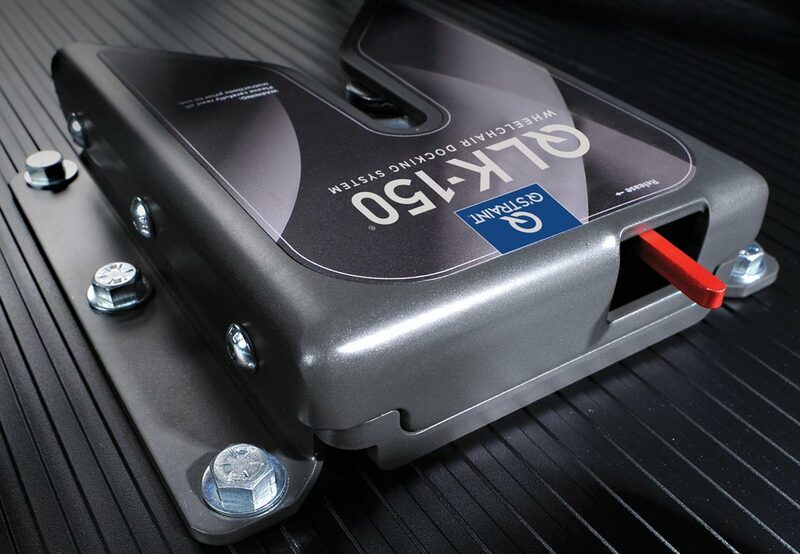 The next step in independent wheelchair securement, QLK-150 offers more options and features than any other docking system on the market. Wheelchair drivers and passengers pay a premium for the freedom to drive, and they deserve a system that looks, feels and behaves like a part of their vehicle. 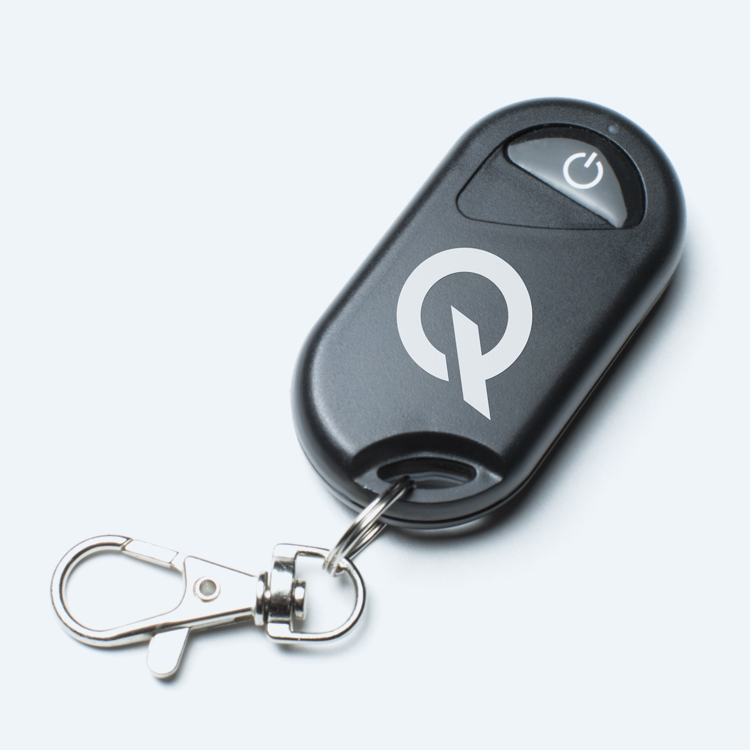 QLK-150 was designed to work simply, function intelligently, and look beautiful. 3 years* limited warranty coverage. 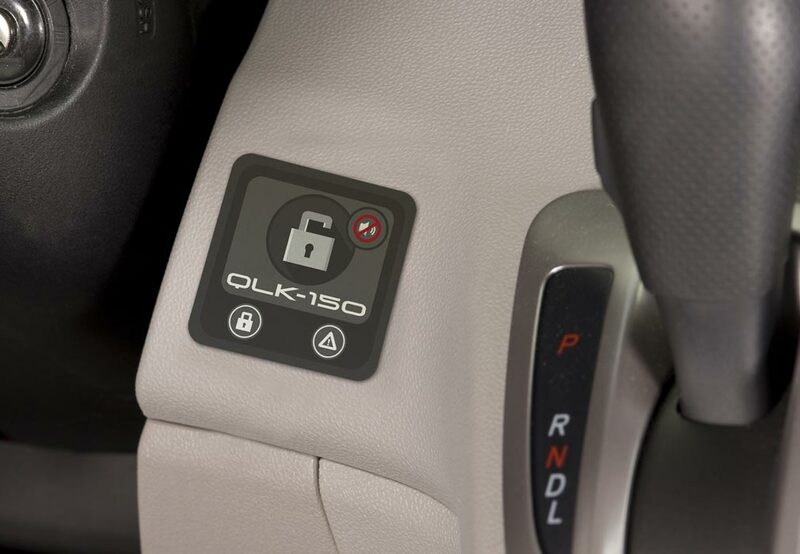 Along with a complete lineup of brackets for today’s most popular chairs, the QLK-150 is the only docking system to feature a range of EXCLUSIVE BRACKETS that can ONLY be secured with the QLK-150. 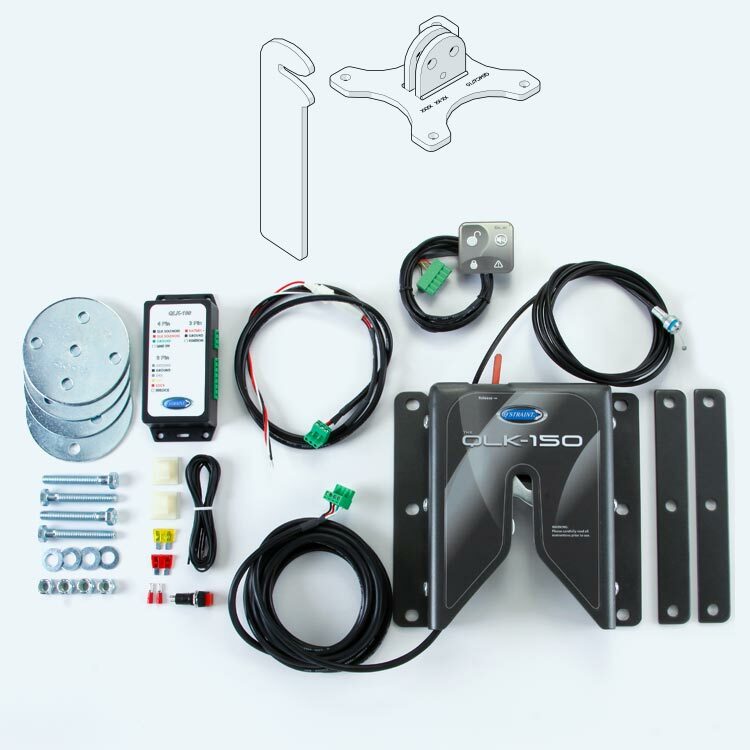 Seamlessly pairs with your new or existing QLK-150 docking system. 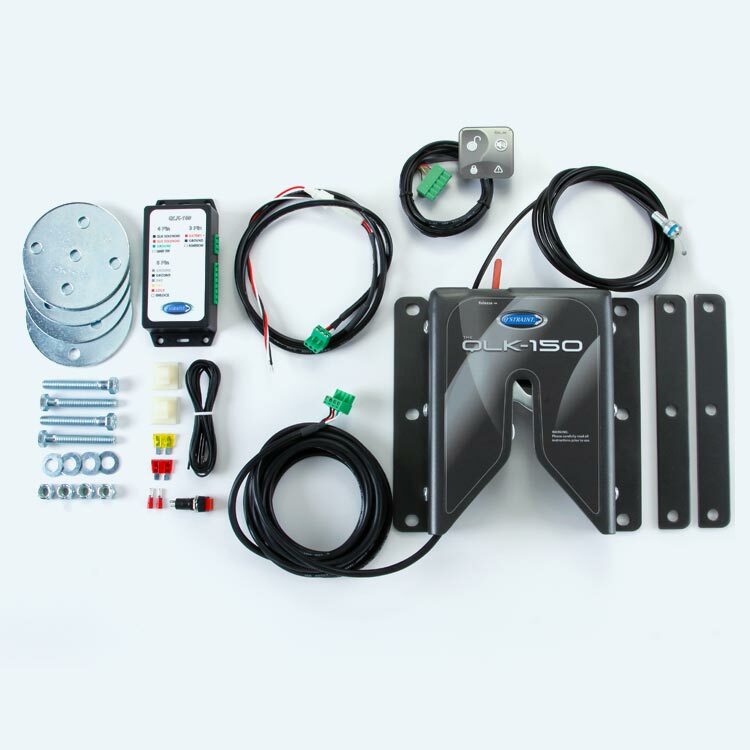 Eliminates the reach to the dash for drivers with limited mobility. 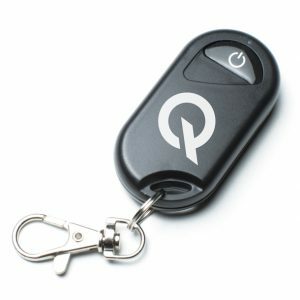 Key fob remote can be easily clipped to your key ring or mobility device. Operator can release a passenger from outside of the vehicle. The lowest and highest clearance of any docking system. 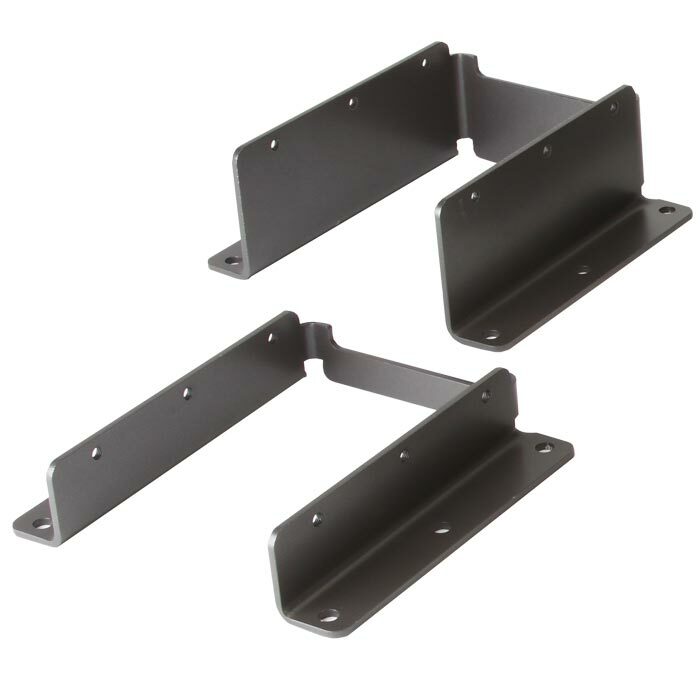 Available base mounts provide a custom OEM fit while giving any wheelchair MORE ground clearance than any other system on the market. 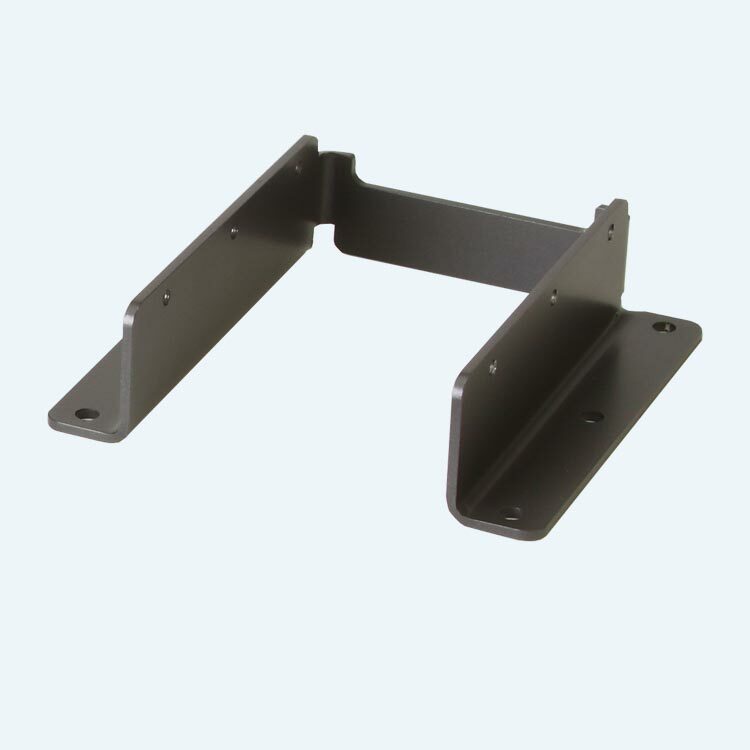 Even just a few millimeters of clearance makes a big difference…and QLK-150 floor mounts can dramatically improve your clearance by up to several inches. Seamlessly blends into modern vehicle interiors with no modifications. Compact design with extra-large touch area and clear LED indicators simplifies the user experience. Multiple dash controls can be installed if desired. Ditch the old stabilizing fork. 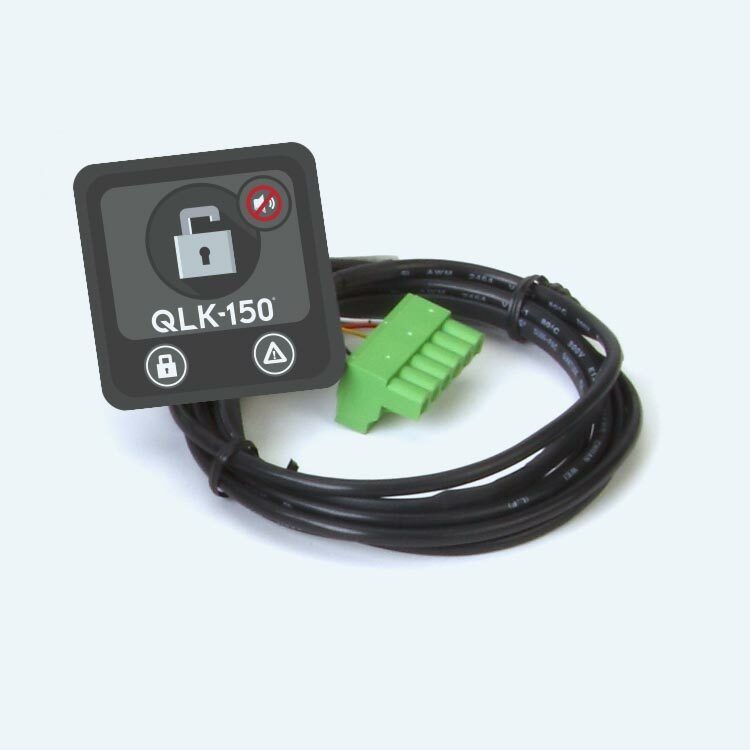 QLK-150 offers advanced stabilizing options designed to be installed and used easily. Now your customers can have the safety of stabilization without sacrificing wheelchair drivability. Hundreds of manufacturers, thousands of models…one list. 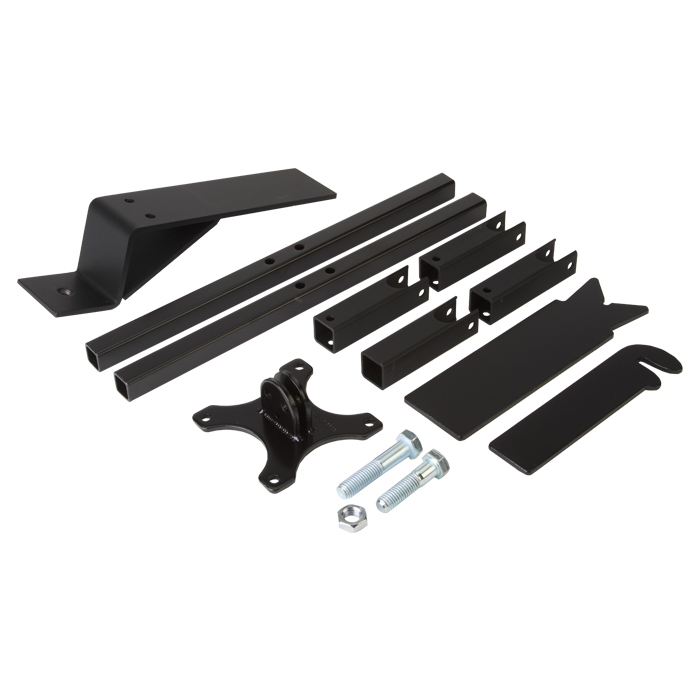 With so many exclusive wheelchair brackets, no other docking system on the market can come close the QLK-150’s complete lineup for today’s popular chairs. 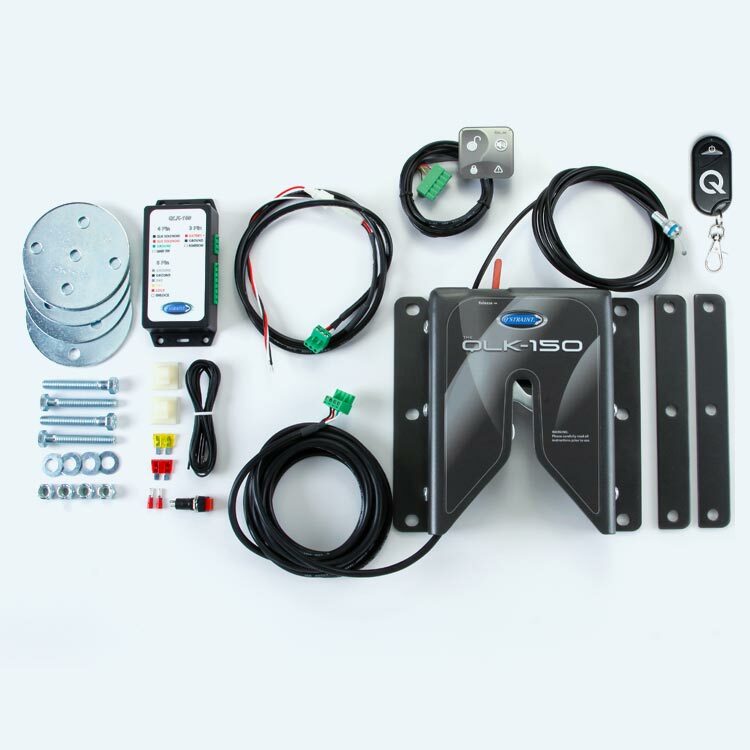 The first and only docking system that meets the higher WC/19 wheelchair load requirements. Also the only system tested Forward, Rearward and Sideways. Compact design that blends in to modern vehicle interiors. 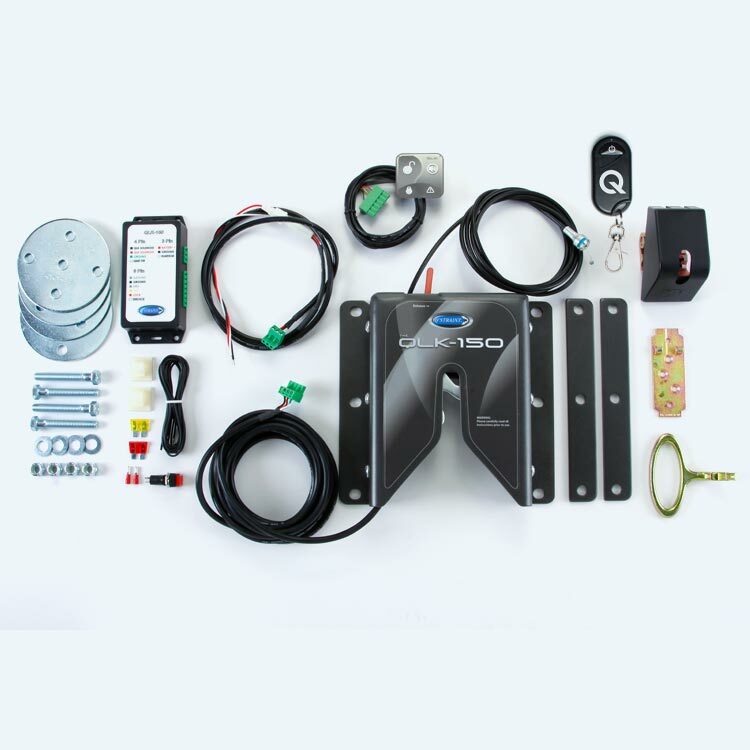 Features a larger touch area and imbedded LED indicators to show system status. 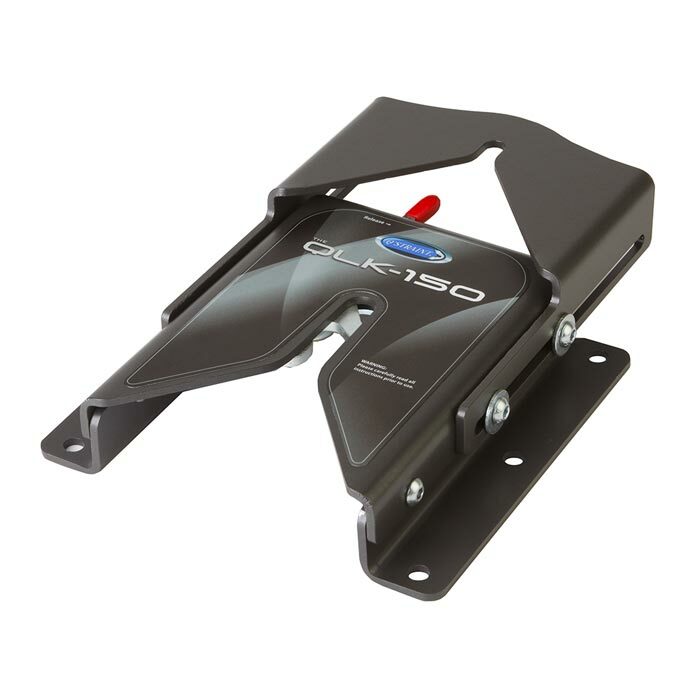 Our unique Advanced Stabilizer allows the QLK-150 to be installed in the driver position. 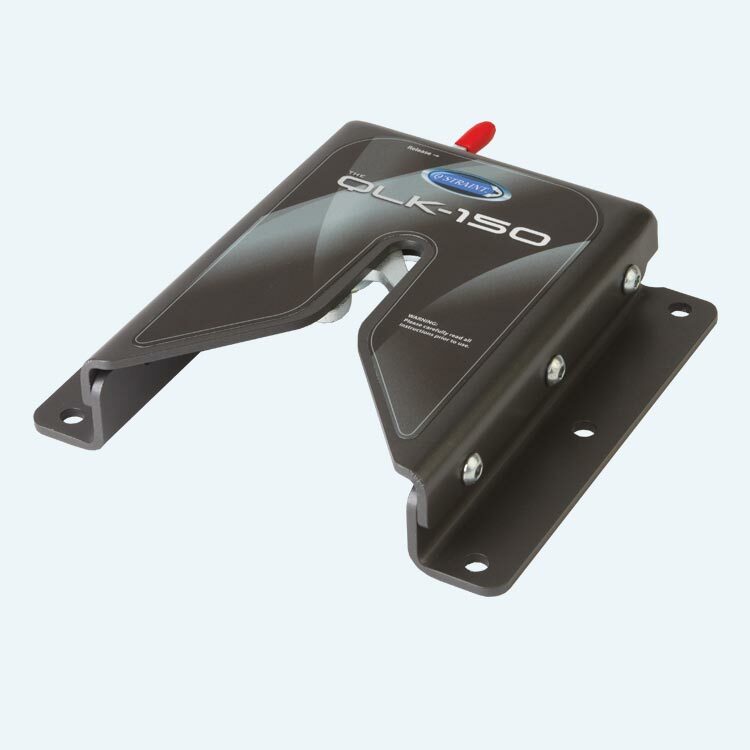 The stabilizer attaches easily to the QLK-150 cover and improves stability. 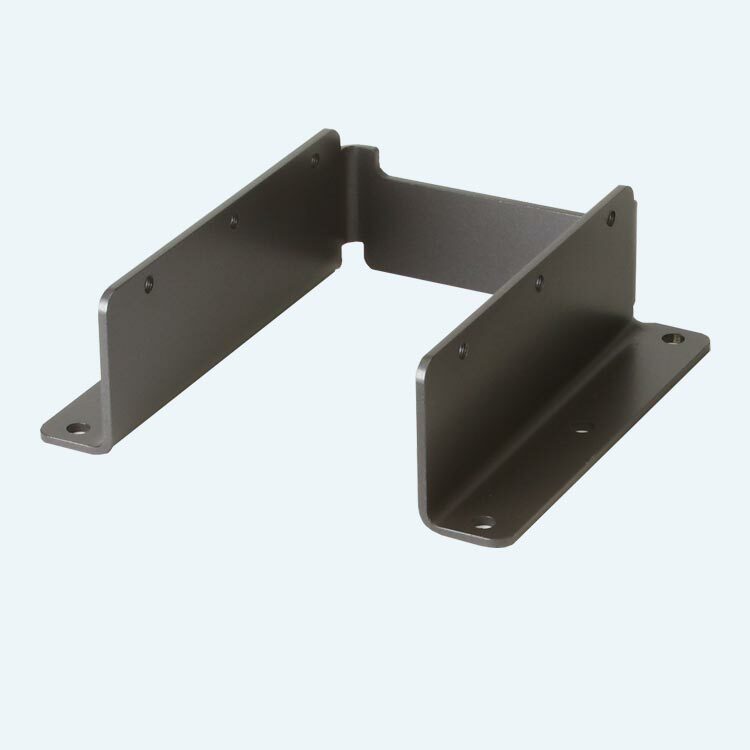 Optional base mounts allow for the docking system to be mounted from 1.5″ (38mm) all the way up to to 4″ (100mm). 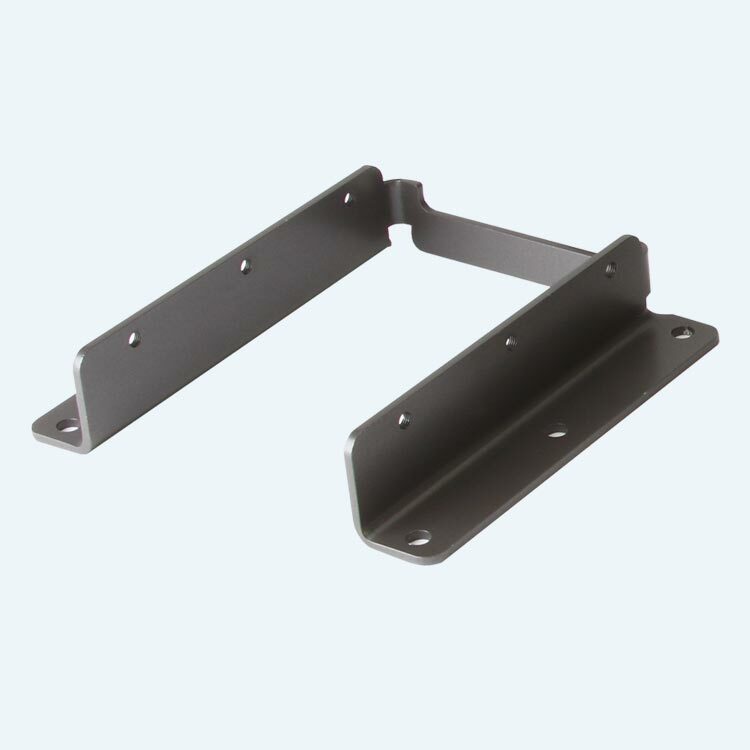 An optional 1.5″ floor mounts allows previously un-dockable lower ground clearance wheelchairs such as the Jazzy Select 6 or Ultra Elite, to be easily secured. 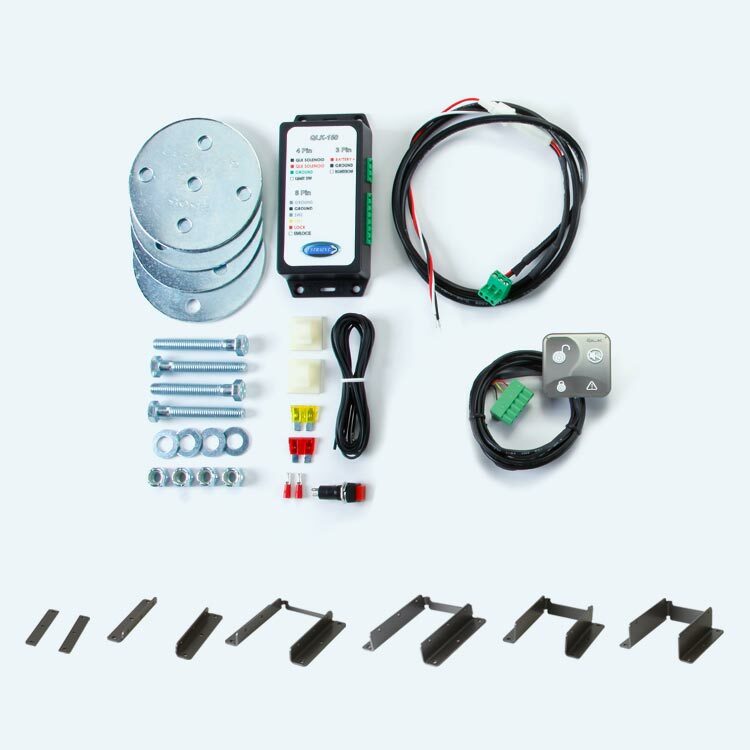 The newly designed micro-processor controller sends data directly from the control pad to the base unit putting the latest technology at your fingertips. 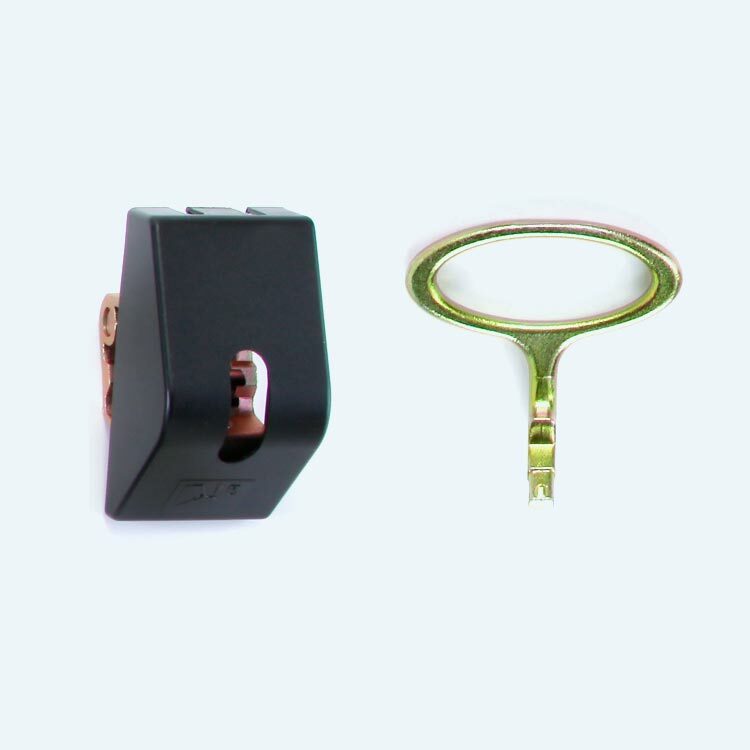 A single micro-switch eliminates the need for a separate thermal switch, allowing for improved electrical reliability. 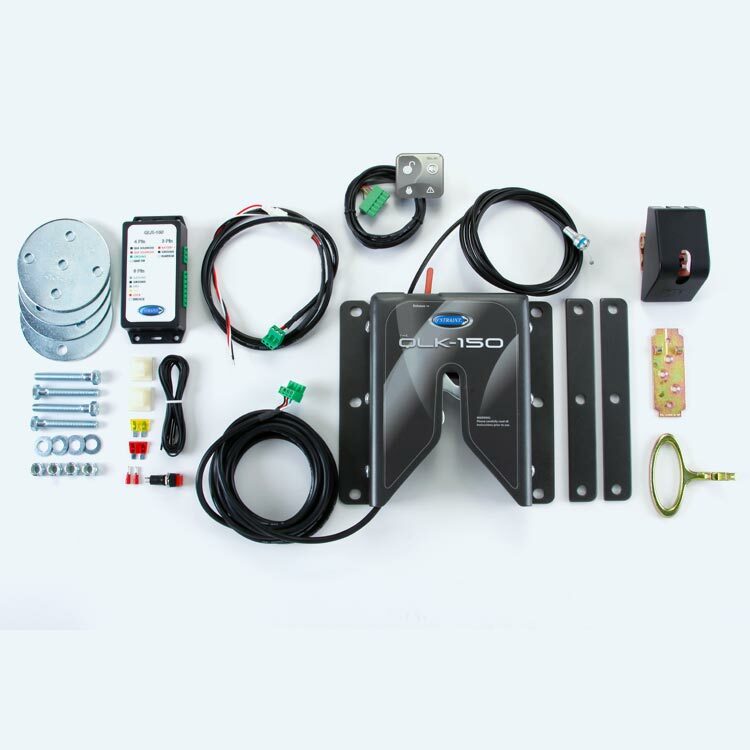 When the user is not in the docking base (sleep mode), the system draws just 76.5 micro amps (0.0000765 amps), or about 5 times less than other docking systems. 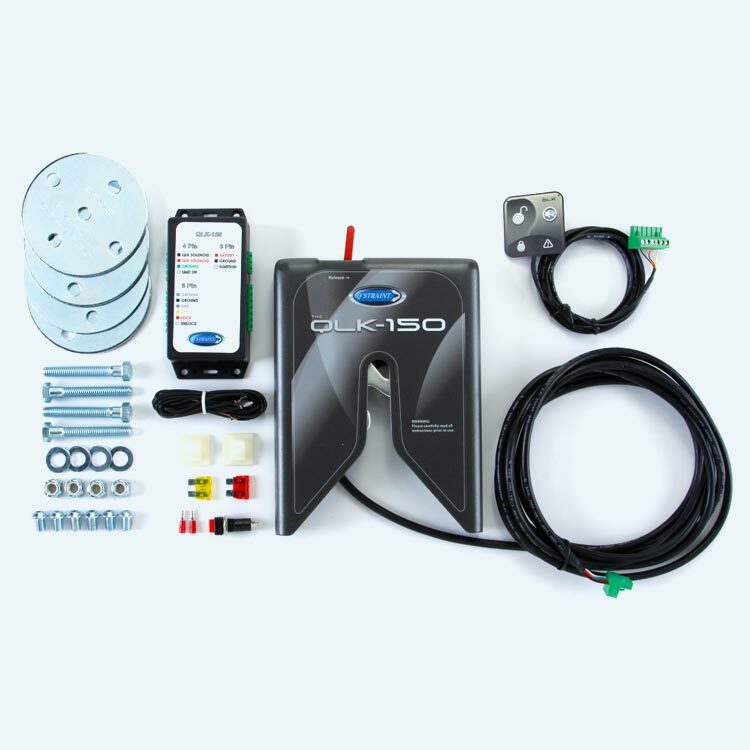 The solenoid release also features a low current draw of between 4.2 – 9.1 amps (versus the normal 18 amps). 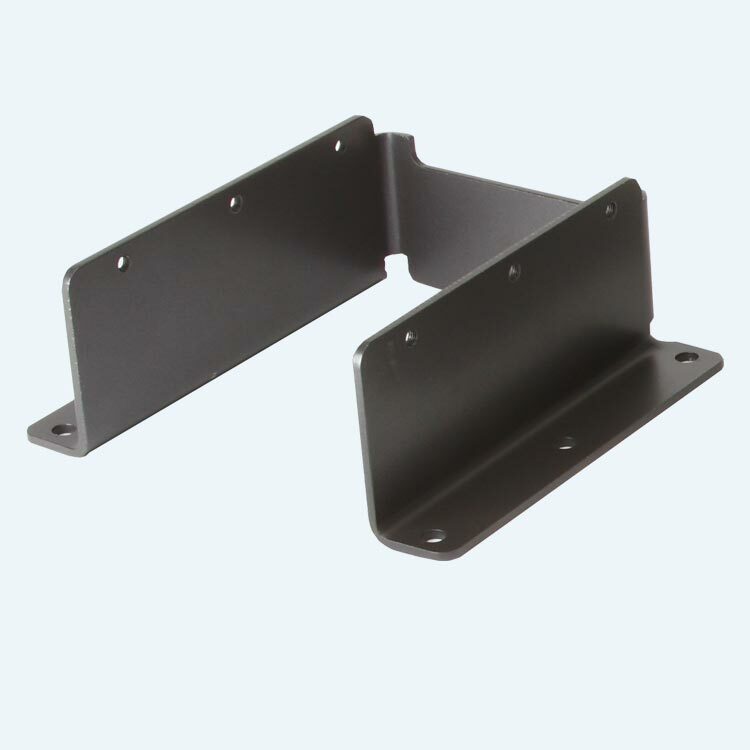 Quick connectors and a removable cover allow for faster maintenance and easier servicing. 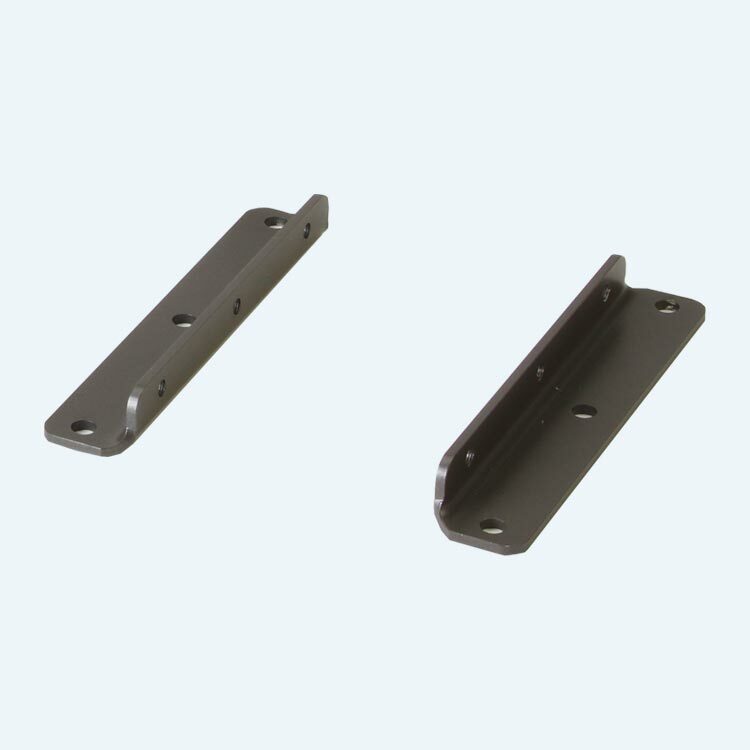 Screw terminals are easily removed for faster wire routing, and eliminates the need for any additional crimping or soldering. 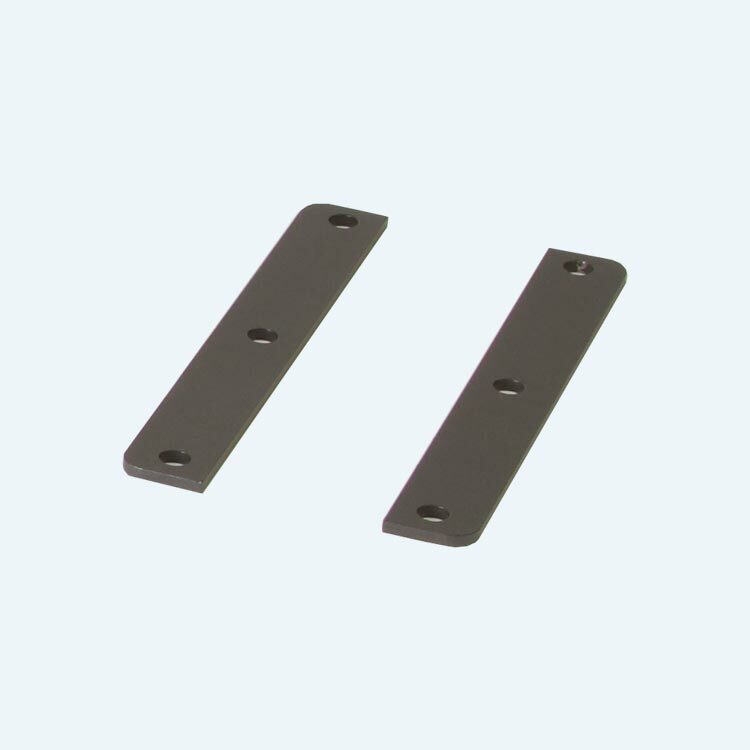 All components are made of high-grade steel with eco-friendly coating, and each component (except for base mounts) is specially treated to increase strength and durability, reduce entry channel warping, and to prevent corrosion. 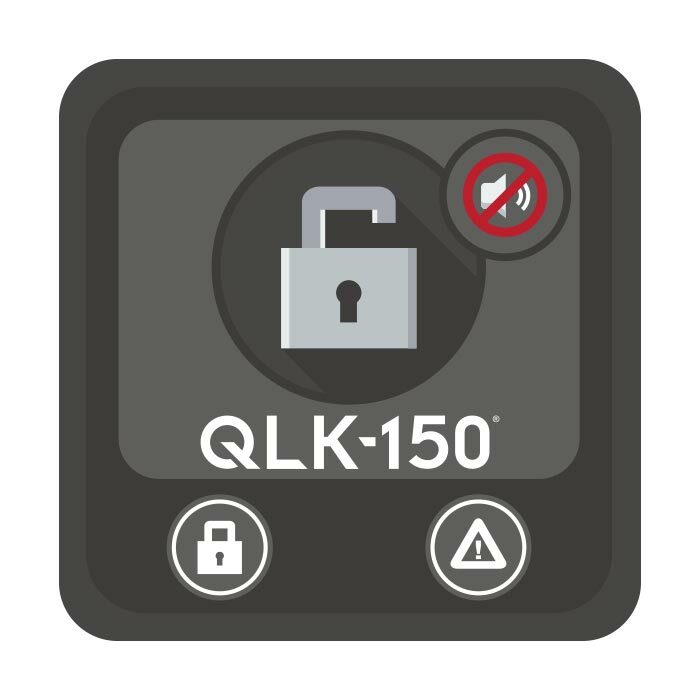 The QLK-150 features a castor interference with shortened cover reducing the size by by 1.5″ (38mm) over the QLK-100, eliminating any castor interference. Eliminates snags and gives users a full 3/16″ (5mm) of additional bolt clearance. The tapered channel guides the user in, making it easier to dock. Prevents system lockup if the internal hardware is accidentally over-torqued. 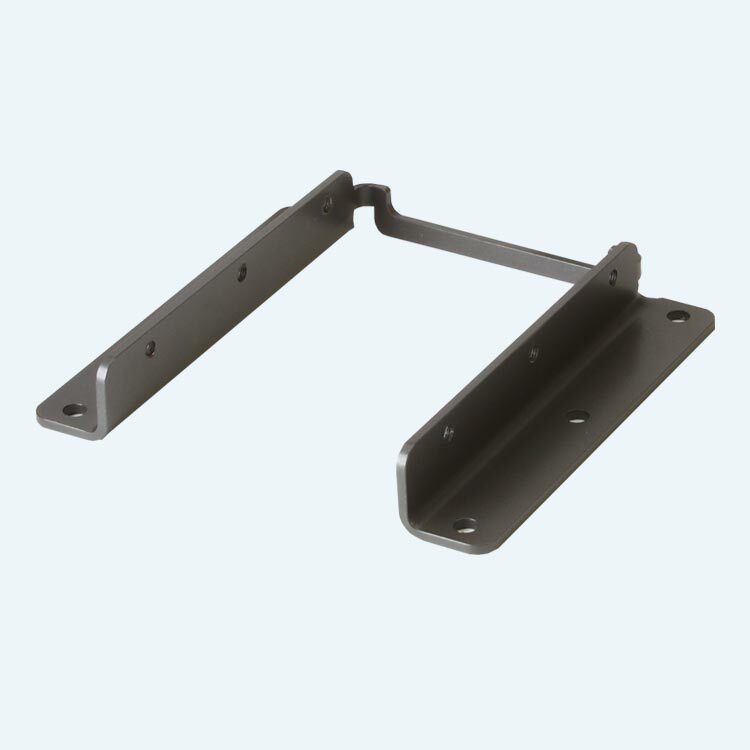 Meets the requirements of WC18 & is compatible with WC19 wheelchairs. *Independent testing documentation available upon request. Always demand up-to-date crash testing from a certified facility. 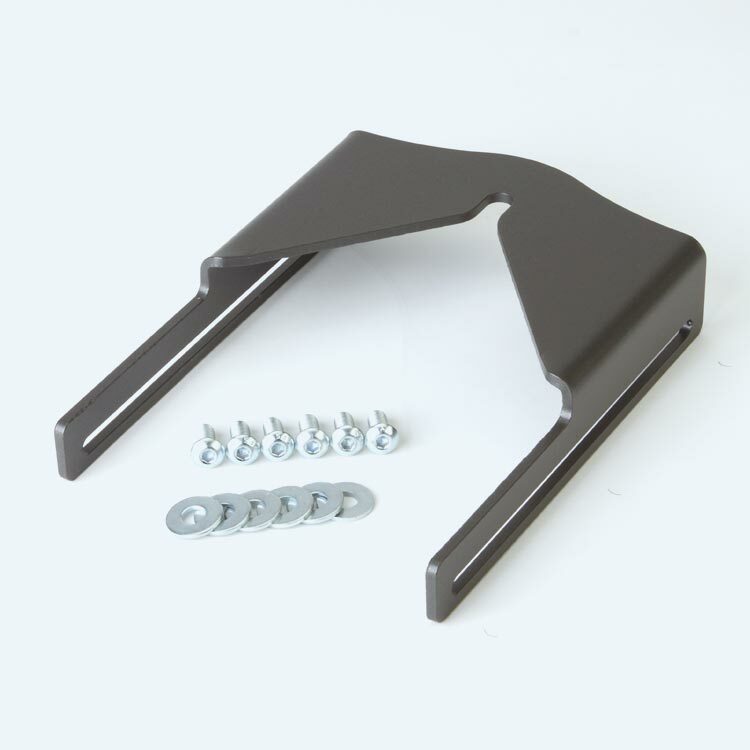 Find the perfect bracket for any wheelchair model with our Interactive Bracket List.